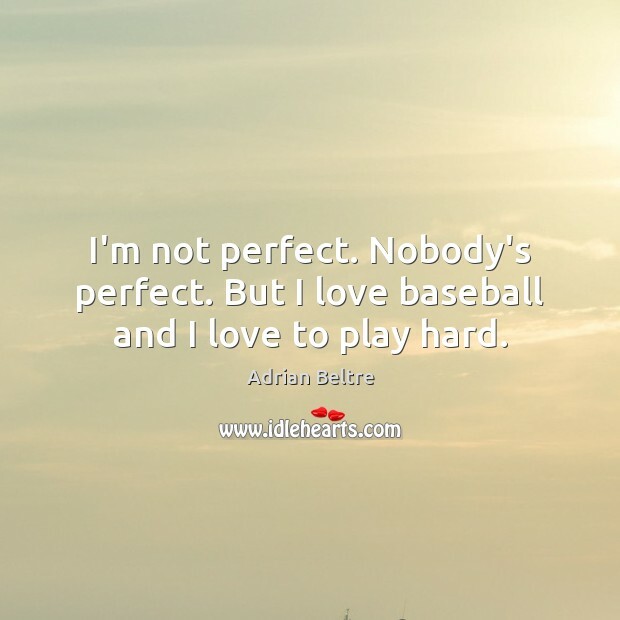 Quotations about Baseball Love. Quotes to stimulate mind and drive action! Use the words and quote images to feed your brain inspiring things daily! 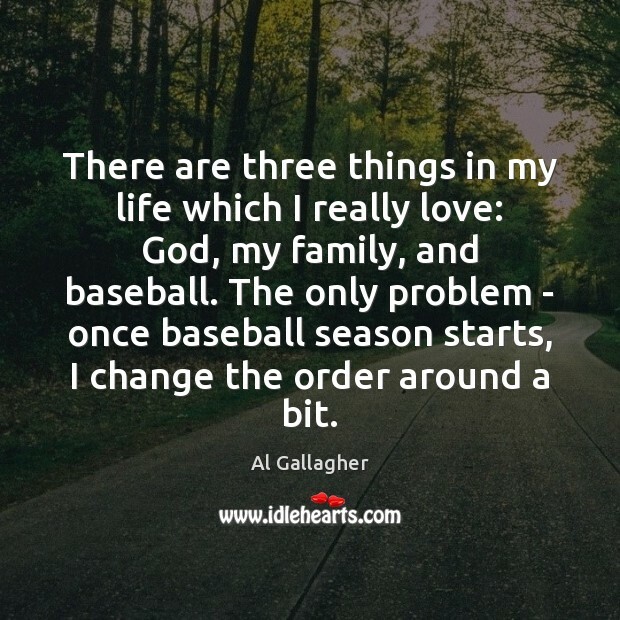 There are three things in my life which I really love: God, my family, and baseball. The only problem - once baseball season starts, I change the order around a bit. I'm not perfect. Nobody's perfect. 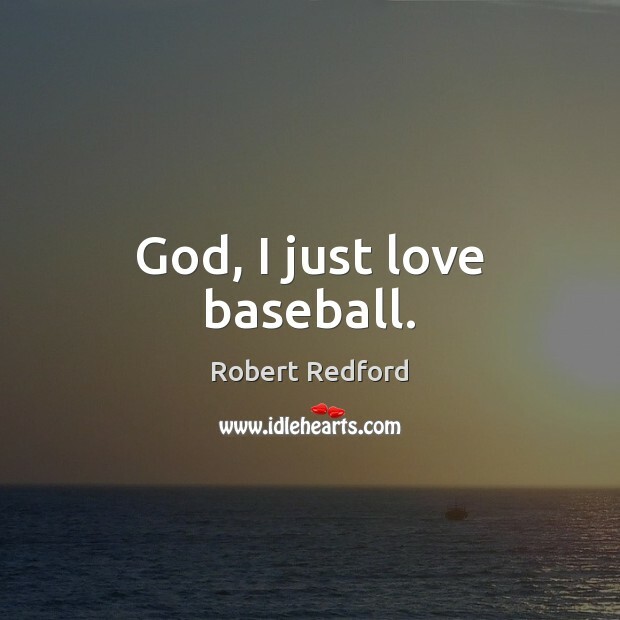 But I love baseball and I love to play hard. God, I just love baseball. I really love baseball. 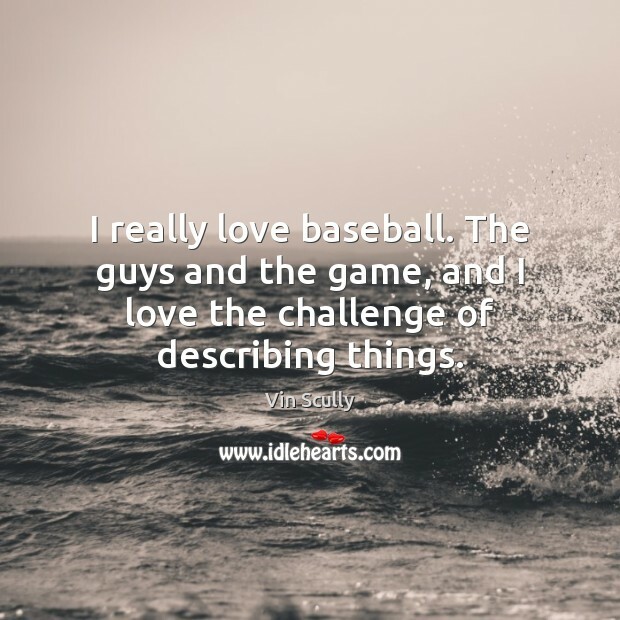 The guys and the game, and I love the challenge of describing things. For most baseball fans, maybe oldest is always best. 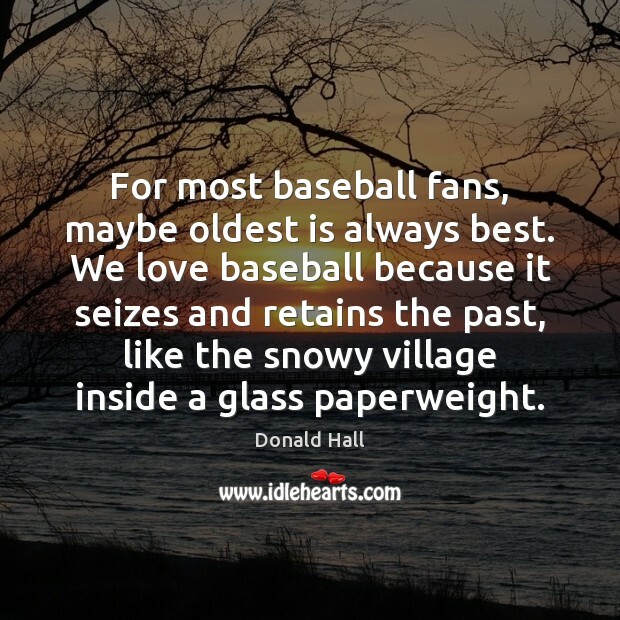 We love baseball because it seizes and retains the past, like the snowy village inside a glass paperweight. This guy from L.A. sits down next to me, and he says "you like baseball?" I said, "Oh, man, I love baseball." So he goes "Did you know that if Jesus had played ball, he'd have been the greatest ball player ever?" Like I'm gonna argue with that logic. 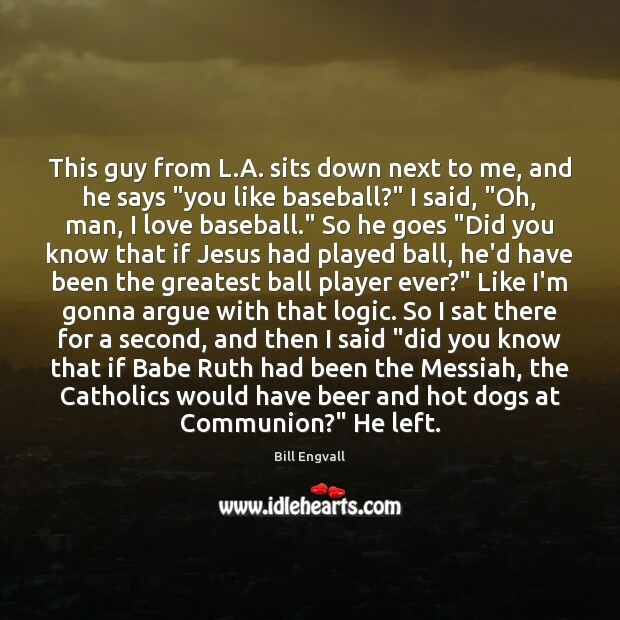 So I sat there for a second, and then I said "did you know that if Babe Ruth had been the Messiah, the Catholics would have beer and hot dogs at Communion?" He left. I love baseball. 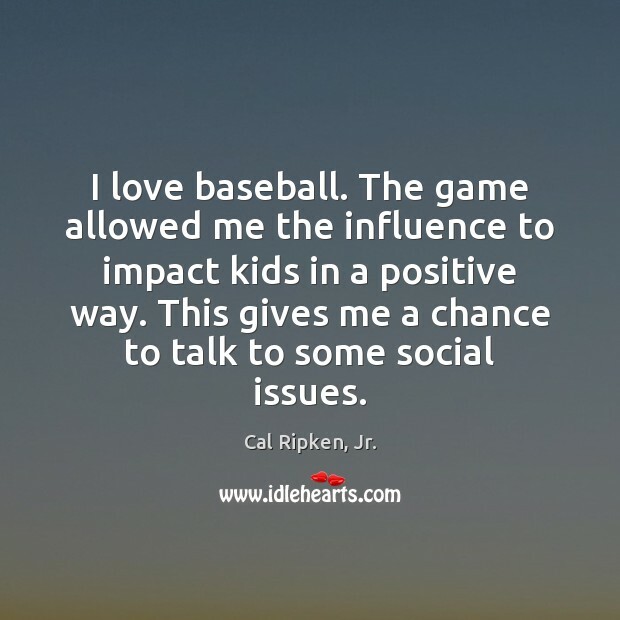 The game allowed me the influence to impact kids in a positive way. This gives me a chance to talk to some social issues. I love what I do. I'm appreciative and I'm still competitive. 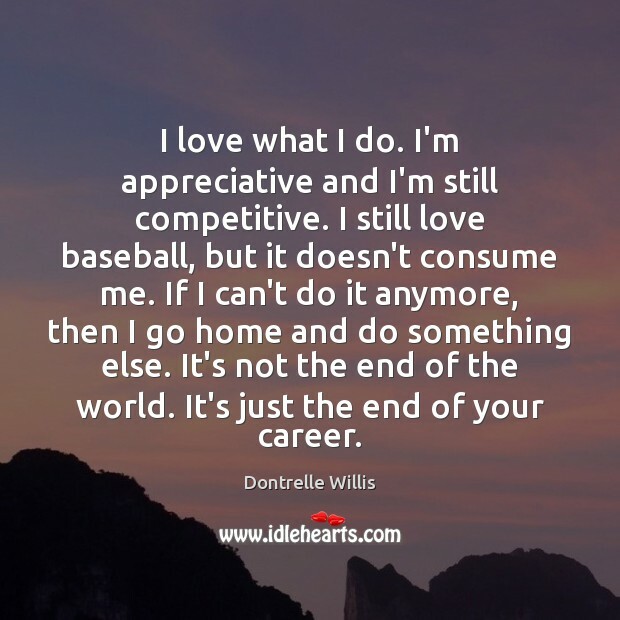 I still love baseball, but it doesn't consume me. If I can't do it anymore, then I go home and do something else. It's not the end of the world. It's just the end of your career. George Bowering doesn’t play fair. 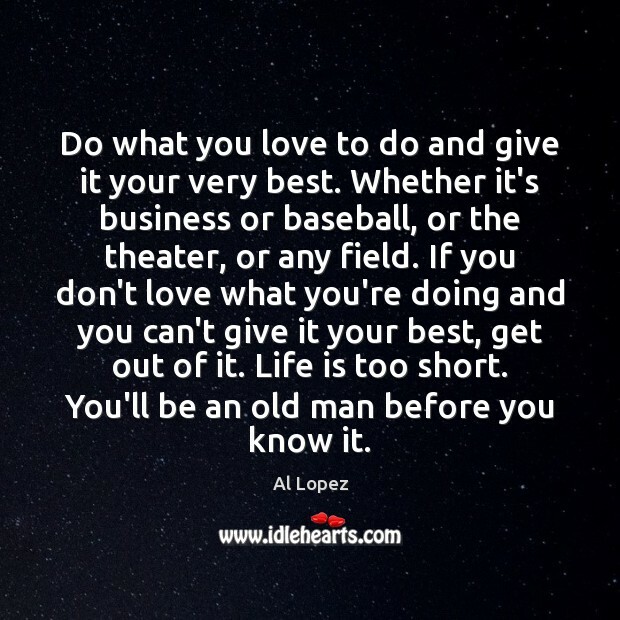 Baseball Love is so good there is no memoir in the league that can go up against it. 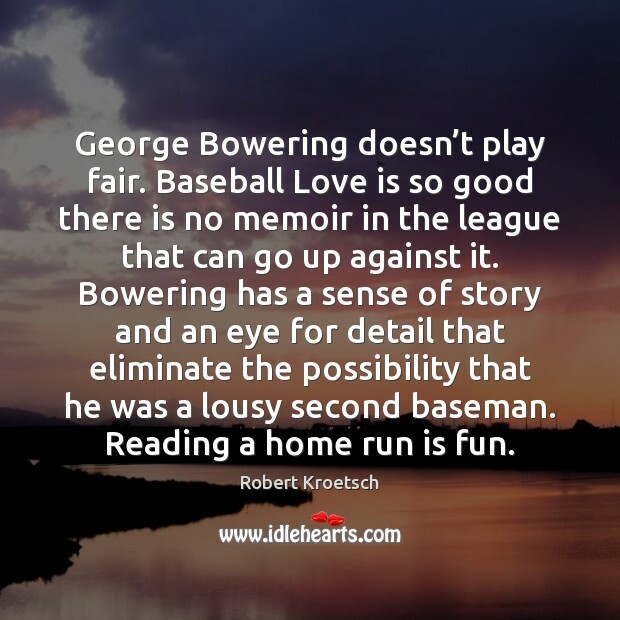 Bowering has a sense of story and an eye for detail that eliminate the possibility that he was a lousy second baseman. Reading a home run is fun. I've been playing baseball since I was four. 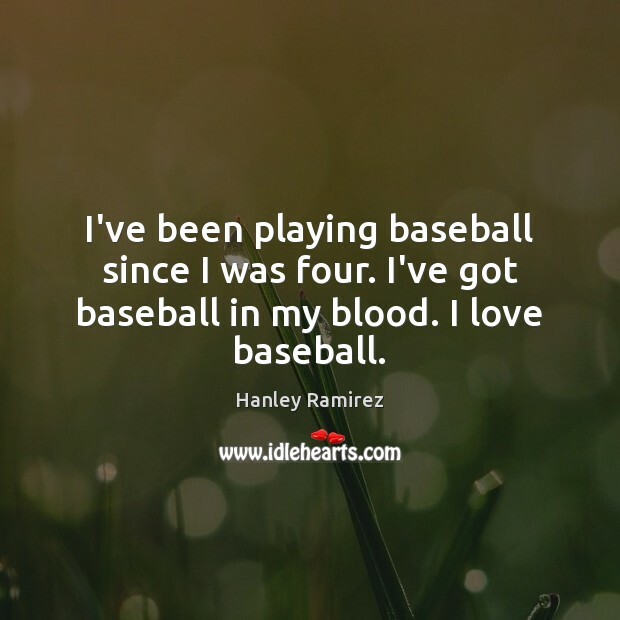 I've got baseball in my blood. I love baseball. 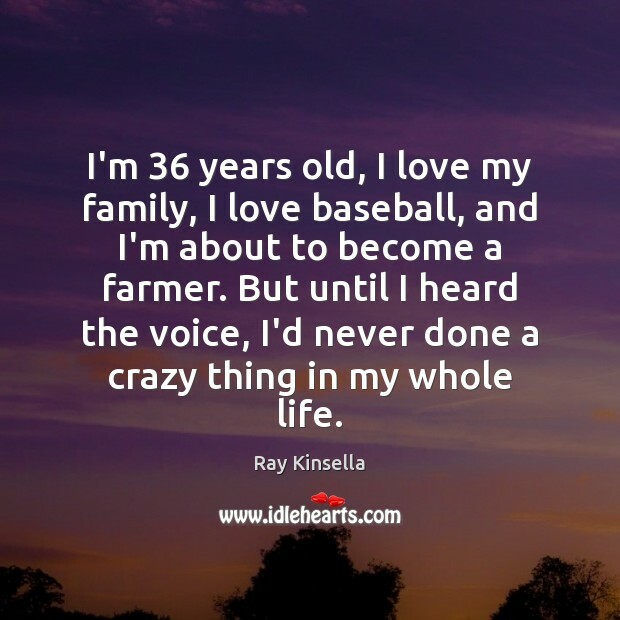 I'm 36 years old, I love my family, I love baseball, and I'm about to become a farmer. But until I heard the voice, I'd never done a crazy thing in my whole life. 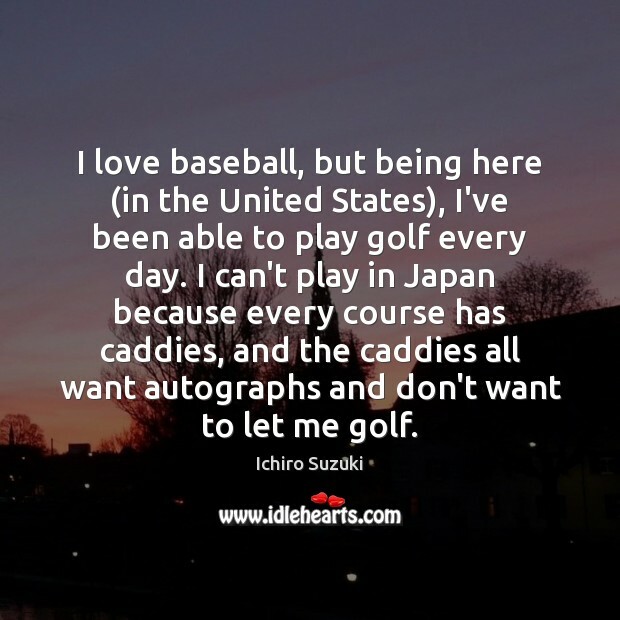 I love baseball, but being here (in the United States), I've been able to play golf every day. I can't play in Japan because every course has caddies, and the caddies all want autographs and don't want to let me golf. Baseball lasts as long as it takes. 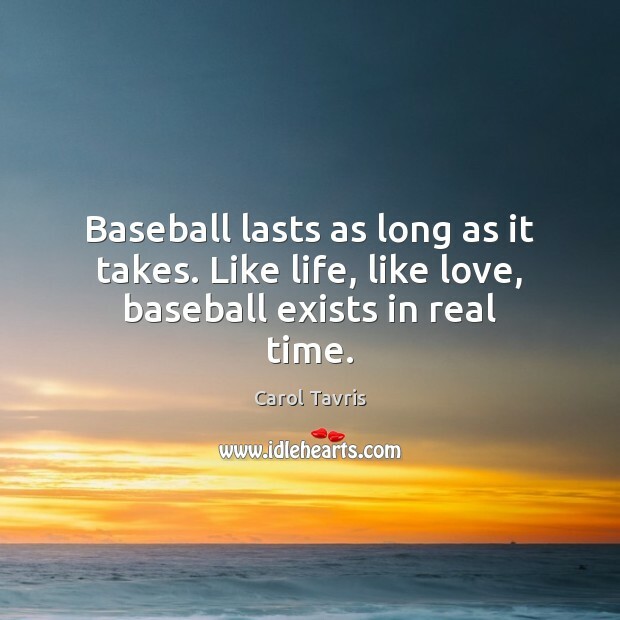 Like life, like love, baseball exists in real time. I always wanted to do a baseball book; I love baseball. 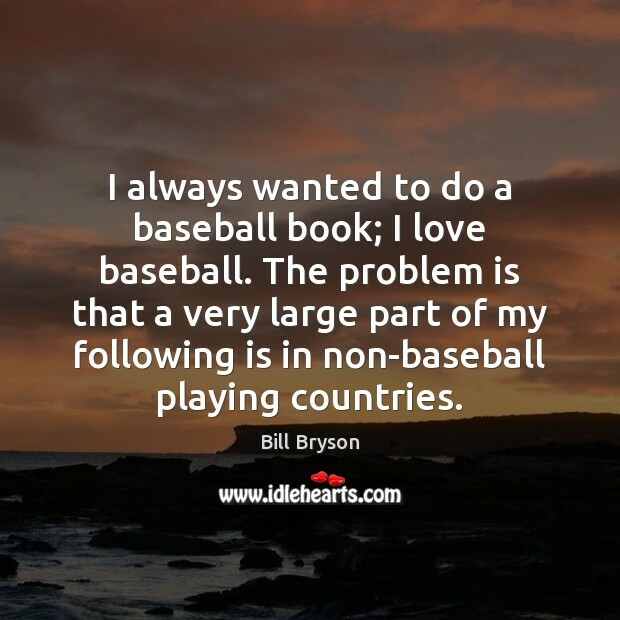 The problem is that a very large part of my following is in non-baseball playing countries. 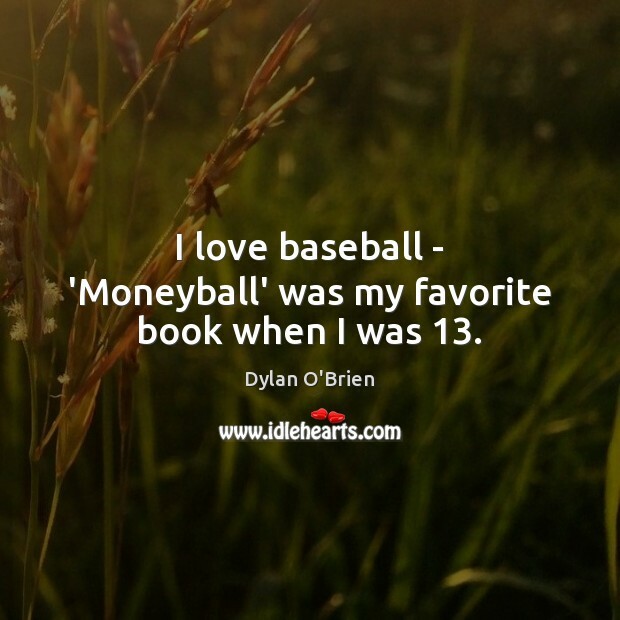 I love baseball - 'Moneyball' was my favorite book when I was 13. 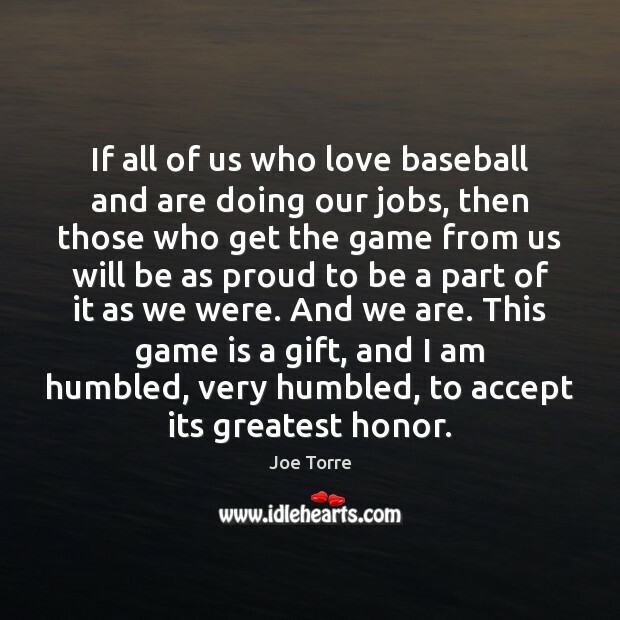 If all of us who love baseball and are doing our jobs, then those who get the game from us will be as proud to be a part of it as we were. And we are. This game is a gift, and I am humbled, very humbled, to accept its greatest honor.